Norwex Cloths- Gotta Have ‘Em! 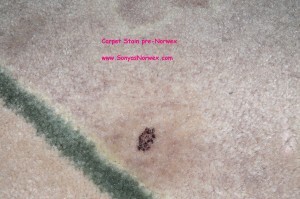 And as you can imagine, with a household of boys, we frequently get to put Norwex to the test!! 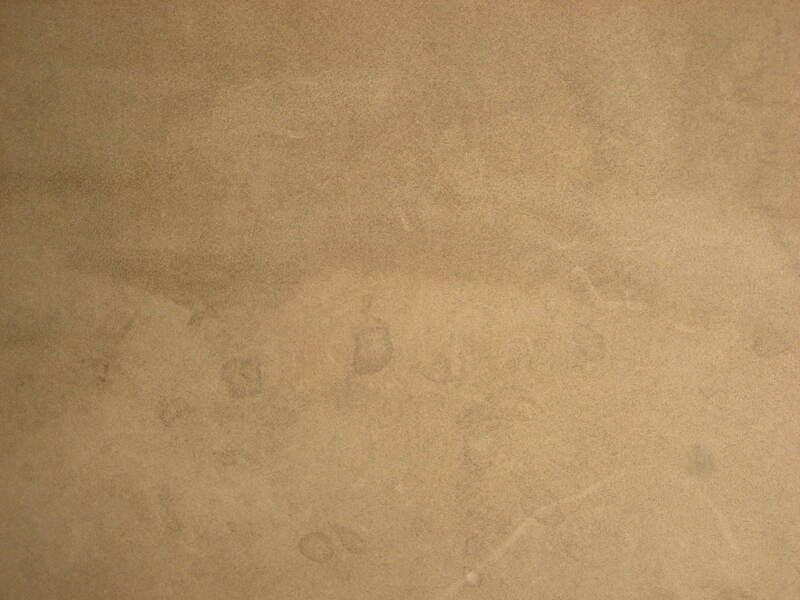 Here’s a photo of *something* very sticky & very stuck into our dining room rug! (An unidentified substance!) 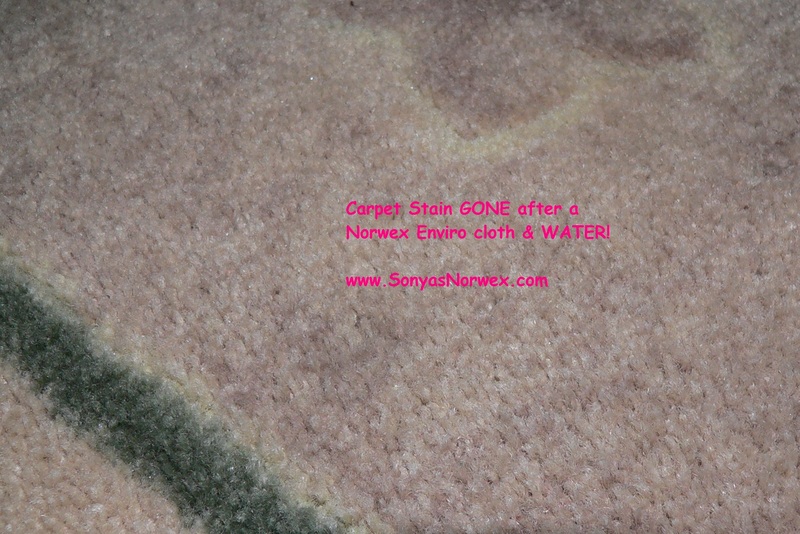 I sprayed it with JUST WATER and gently “massaged” it with my Norwex Enviro Cloth, and Presto! It came out! Who knew!!? 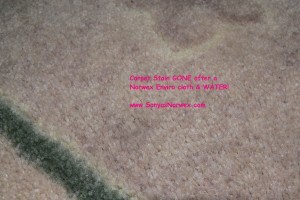 With just a “magic” Norwex cloth & water! Once again, witness how awesome the Norwex cloths are at cleaning upholstery & carpet…along with virtually anything else that you have to clean!!! Call me today to begin “Norwexing” your home… protecting yourself from toxic chemicals, making your cleaning faster than ever before… and just plain “simplifying life”!!! I look forward to talking with you & answering any questions that you might have. And if you’re looking for a FUN way to earn great income while doing something you enjoy, call me & I can answer any questions you may have about becoming a Norwex consultant! I absolutely love what I get do with my Norwex business & I’d love to help you start your own business, as well! 605 . 271 . 1814. This entry was posted in Best Cleaning Cloths!, Customer Testimonials, The Latest Buzz! and tagged antibac cloth, carpet, clean microfiber couch, cleaning, detergent, faster cleaning, fun, fun way to earn income, household of boys, ipod, love what I do, microfiber couch, Norwex cloth, Norwex cloths, Norwex Enviro Cloth, Norwex face cloth, Norwexing your home, ottoman, remove water spots, simplifying life, start your own business, sticky, stinky armband, stuck, stuck in the carpet, tar spots, teenager, upholstery, water spots by Sonya. Bookmark the permalink.